At CETCO, we are always keeping our eyes open for good qualified team members. If you would like to submit your Curriculum Vitae for consideration, CLICK HERE to send it by email. On the subject line, please put "CETCO Candidate" then your name and what position(s) you are interested in. For example "CETCO Candidate - John Smith - Environmental Engineer". 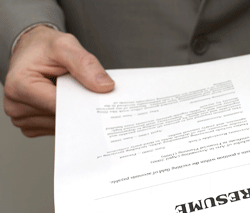 You may also attach a cover letter if you would like, or use the email as your cover letter and attach your CV. If a position becomes available that would be a good fit for your skill set, we will contact you. We keep CV's on file for 1 year.